While the build to the show has been complicated by the Superstar Shakeup and Greatest Royal Rumble, WWE continues to add matches to the lineup for Backlash. Daniel Bryan vs. Big Cass and SmackDown Women's Champion Carmella defending her title against Charlotte Flair were confirmed for the pay-per-view tonight. While returning from the torn ACL that he suffered last summer, Cass moved to SmackDown in the Superstar Shakeup and began his program with Bryan. Carmella cashed in her Money in the Bank briefcase to win the title from Charlotte two weeks ago when Charlotte had been attacked by The IIconics. Cass took Bryan's place on Miz TV tonight, explaining why he laid him out last week. He blamed Bryan for stealing the spotlight from Cass being cleared to return and said he despises Bryan because he reminds him of himself when he was a "little guy" and was getting pushed around. 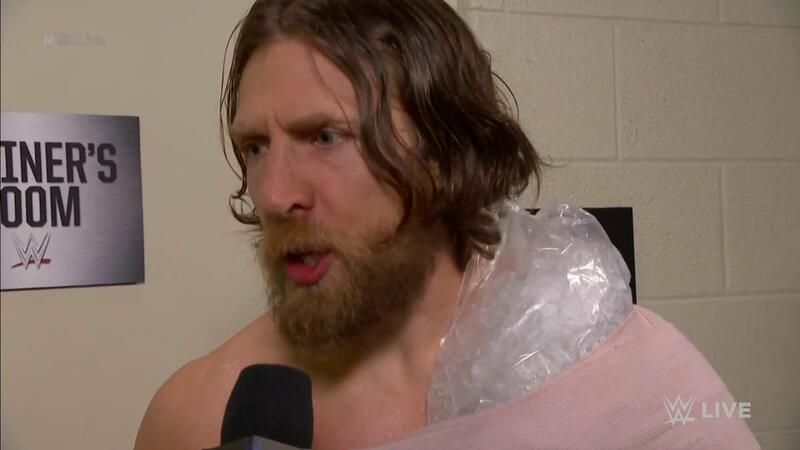 It was then revealed that Bryan had been attacked backstage before the segment. Carmella and Charlotte had a contract signing this week, with Charlotte standing tall after flipping the table onto Carmella. Roman Reigns vs. Samoa Joe, Alexa Bliss getting her rematch for Nia Jax's Raw Women's Championship, and Seth Rollins putting his Intercontinental title on the line against The Miz are the other matches that have been announced for Backlash. It's the first event that's been affected by WWE's switch to all dual-brand PPVs and will take place at the Prudential Center in Newark, New Jersey on May 6th.